Vintage Direct Primary Care’s Kingston Office is Open! Vintage Direct Primary Care Kingston is open for business. The office is staffed by Jillian Rutherford, PA and her patient care coordinator Christina Morales. Jillian and Christina have been practicing in Kitsap county for the past 18 years and are thrilled to be bringing high quality, personalized Direct Primary Care medicine to Jillian’s home town. Interested patients who would like to receive their care in Kingston with Jillian Rutherford can sign up today online by clicking on our site’s Sign Up section. At this time Dr. Lehmann and the Poulsbo office have a full practice but are happy to place patients on our waiting list. For full contact information for our Kingston office you can click HERE. 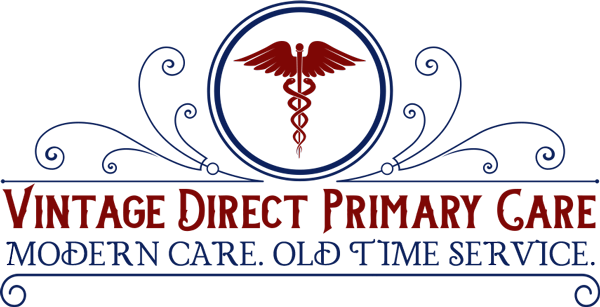 Does your practice take TriCare Prime insurance coverage? We’d love to go here in Kingston rather than Poulsbo. We don’t bill any insurance at all. We work directly for our patients for a set monthly fee that our patients pay directly. Patients use their insurance outside the clinic for services that might be more expensive. We’ve learned (as have most patients) that using insurance to pay for primary care leads to long waits, poor service and more fragmented care (urgent care visits instead of being seen here, etc.). If this interests you, please take a thorough look over our website. We’ve tried to answer just about any question people might come up with. I first started seeing Jillian when she was running the Swedish Primary Care office in Kingston. When Swedish closed down, I eventually returned to her when VDPC opened. Yes, it adds some to my routine medical care cost, but I see it as a bargain. She’s nearby, can be seen timely, she’s competent and caring, and can refer you up the medical-industrial chain as necessary. If you look into the cost structure, you have a new goal — to reach 100 :). Oddly, she was the first PA-C I had ever seen in my life, and since then, I’ve been paying attention to things like that, and find that the vast majority of my current medical needs are met by PAs. I think this may be the wave of the future.